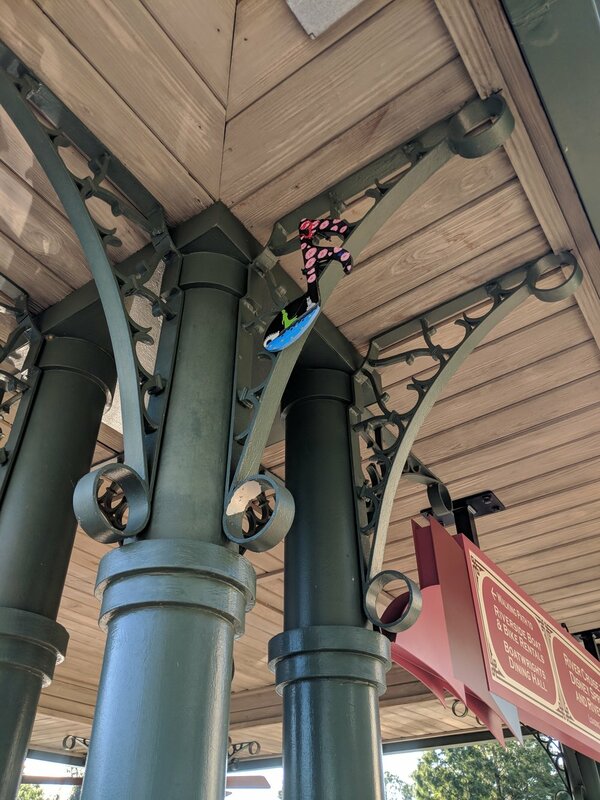 One of the most amazing activities at the Port Orleans French Quarter resort was the scavenger hunt! At check in be sure to ask for a scavenger hunt sheet, and pay close attention because the answer to number one is close by. 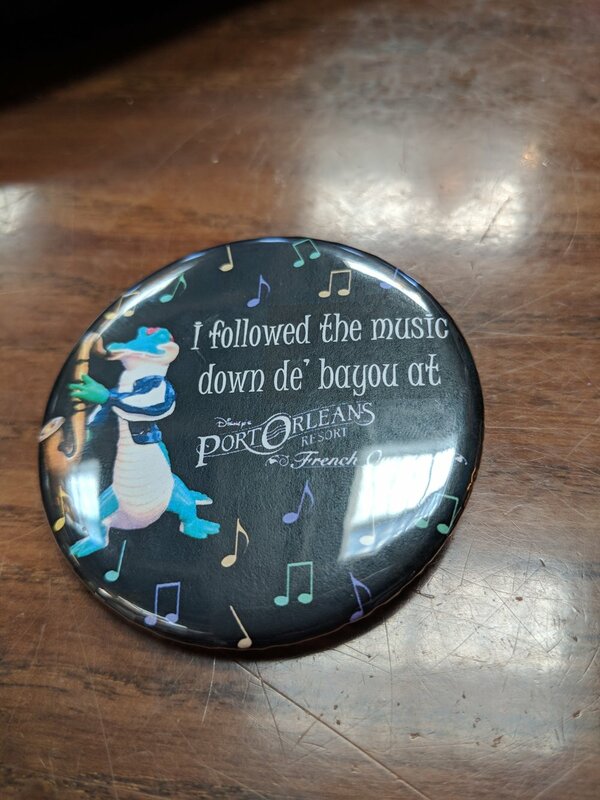 "Cast members have hidden 13 music notes around the Resort.......follow the clues below and find all 13 music notes and fill in the name of the movie and location of each music note. Then return your completed form to the Front Desk for a summertime surprise". I filled in our sheet, so didn't want to post a photo with all the answers. My son knew about half of the movies, but was really good at the locating the music note once we were in the area. What the music notes look like. Most are up high. A tip is look high! I expected the notes to be at eye level and that is not the case. This scavenger hunt was a good way to explore the resort and get a lay of the land. Since the resort is not massive it can be done in an hour or so, or spread out over the length of your stay. Most movies can be solved by reading the clue, but it was nice that my son could guess the movie based on the note (since he can't read). If you do NOT want to see the prize at the end stop reading now. After you have completed all 13 questions and walked the grounds of the resort you are given your prize . Prize you get at the end. How cute is this?!?!?! We collect pins so this was an amazing prize for my kids. They both wore them all day. So if you ever get the chance to stay at Port Orleans French Quarter make sure you get your hands on a scavenger hunt sheet.